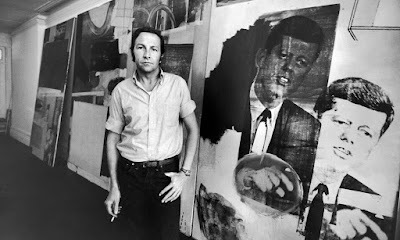 There's a thing about Robert Rauschenberg: "the leader of American art's great ménage à trois." Unfortunately it's by their gormless art critic Jonathan Jones. PS This Guardian piece on the media's closeting of Robert is very good, I think.